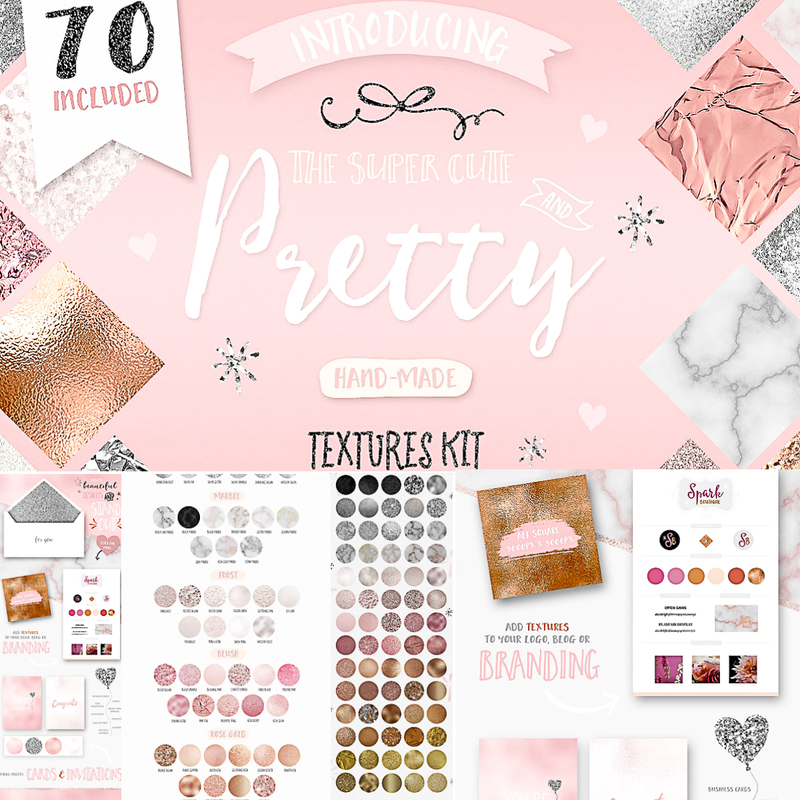 Introducing the ultimate Pretty Textures Kit with 70 High Resolution JPG Files! 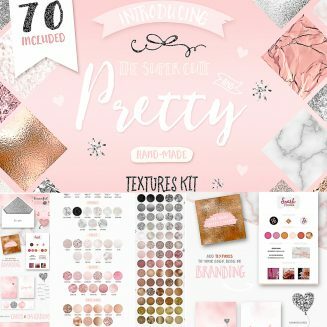 Included in the pack are textures in metallic foil, glitter, confetti, marble, rippled glass and more. Perfect for your business, online store, branding, products, web design, eBooks, logos, graphics, invitations and stationery. Tags: confetti, copper, digital paper, feminine, foil, glitter, gold, marble, rose gold, silver, social media, stationery, texture.